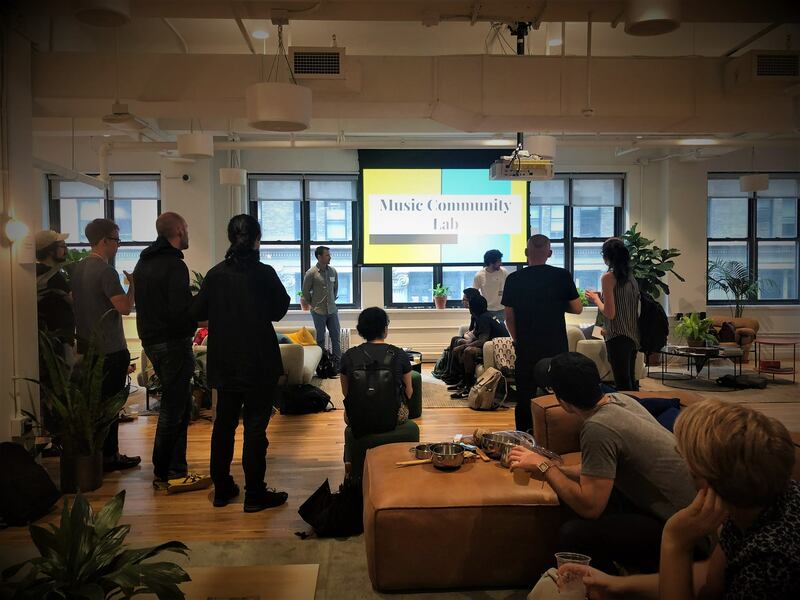 Music Community Lab | Music Community Lab is the non-profit entity that organizes music technology events in New York City.This page details our mission and values. Music Community Lab exists to organize events for music and technology: workshops, talks, creative and social events, and all day ‘hackathons’ such as Monthly Music Hackathon. Music Community Lab (MCL) is an independent not-for-profit organization managed by volunteers. We are proud of our strong industry relationships and grateful for their generous support, but MCL operates wholly outside the scope of any other entity. Combined with creating a safe environment, this also means MCL events are no place for intellectual property (IP) grabs, explicit advertising, or recruiting. Monthly Music Hackathon is organized by Music Community Lab, Inc., a non-for-profit, volunteer-run organization.